Mrs Maggie , thank you. Maggie, what kind of camera is that. My wife wants to get one and the graphics look pretty good on that one. Wonderful camera! Know you are enjoying it....we are,too! Thanks for sharing! They are beautiful creatures. If you look close you can see the fawn moving. Really neat videos, Maggie. The wonder of nature never ceases to amaze me. We are nearing the end of our hummingbird migration through here now and are down to just a couple. We have enjoyed watching them so much and will long to see them next year. 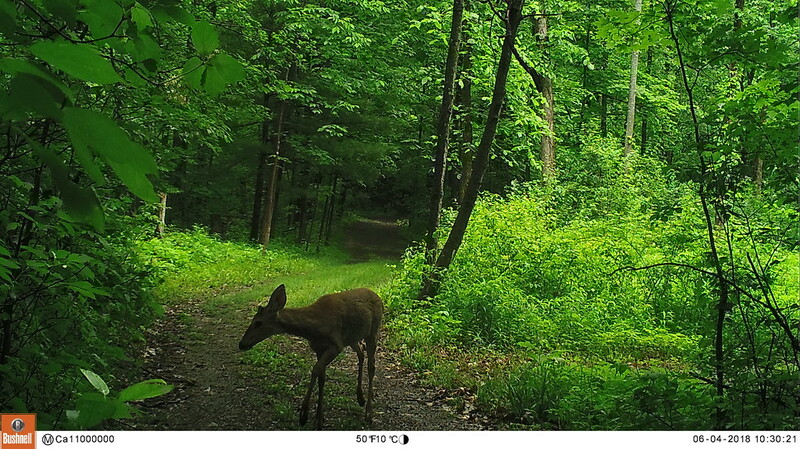 Do you commonly see much game when you are out and about or is most of it by the trail cam? We see all but bobcats and coyotes through our windows or walking on the trails.They tend to be more illusive.